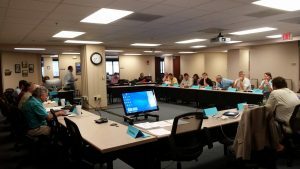 Scientific & Statistical Committee Members are economists, biologists, sociologists, and natural resource attorneys who are knowledgeable about the technical aspects of fisheries in the Gulf of Mexico. Scientific & Statistical Committee Members shall be appointed for three year terms. The next appointment period will be 2021. SSC member contact information is available by clicking on each SSC title.